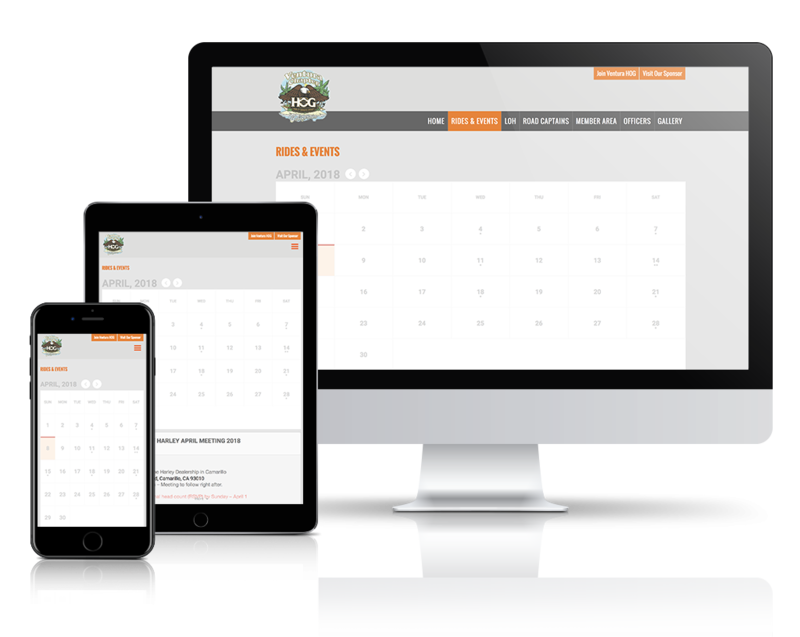 We were hired by the Ventura HOG chapter to redevelop their existing WordPress web site. The old web site used a third party theme that was outdated with portions of the site being broken. When we took over, the core, theme and plugins were extremely outdated. We started with a fresh WordPress install and then built a custom mobile responsive theme from our designs. We stripped out all unnecessary plugins to streamline the site and improve overall security. We build multiple back end sections to manage custom posts types thus simplifying overall maintenance for the end user.